Project Visibility is a dynamic, cultural-sensitivity training that addresses the particular needs and strengths of lesbian, gay, bisexual and transgender (LGBT) older adults. Project Visibility offers professional caregivers, lay caregivers, and others engaged in the lives of elders, information, perspectives, and practical tips for working competently with this often invisible population. WHEN: Tues., April 24, 8:30-11:30 a.m.
Email Michael or call 303-441-4518 by April 20, to register. 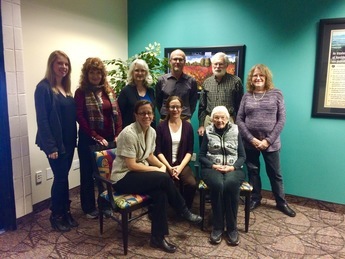 Volunteers are the heartbeat of our Long-Term Care Ombudsman program. In this role, individuals complete 21 training hours, shadowing and testing to become certified. Once their training is complete, they are assigned to one or more long-term care homes and routinely visit in the evenings and on the weekends to get to know residents and staff and work with them on some VERY intense situations. They are also required to complete monthly reports of all of the activities they do in their ombudsman roles. We can’t thank our volunteers enough! For more information about becoming a volunteer with us, contact us. Human Service Professionals are encouraged to attend the Strengths Based Service Delivery training series. This training teaches about the strengths-based service delivery model and how to best utilize it with your work with clients. Attendance is required at all four days to receive your certificate. Contact Wade Branstetter for more information or to register. New Medicare Cards are Coming: Don't be Fooled! Starting next month, the US government will begin issuing new Medicare cards for all Medicare beneficiaries. Boulder County residents can expect to receive theirs sometime this fall. The new cards will no longer feature beneficiaries’ social security numbers; instead, a new 11-digit number will be used. Read more about the new cards here. Who Says There's No Such Thing as a Free Lunch? Our annual Caregiving Symposium is THE premier educational event for family caregivers of older adults. 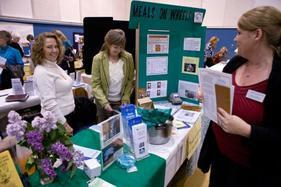 The event features a large resource fair, 16 workshops on caregiving topics, educational handouts, and more. If you register by May 9, a complimentary lunch is included. Registration for general admission is free. Pre-registration by May 9 is required in order to receive lunch. Register online or call 303-441-1685. Kidde dual-sensor smoke alarm models PI2010 and PI9010 have been recalled. If the date code printed on the back of the alarm falls between Sept. 10, 2016, and Oct. 13, 2017, the model is affected. 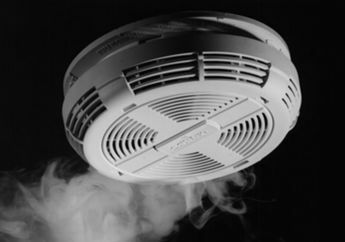 A manufacturing process defect can compromise the smoke alarm’s ability to detect smoke, posing a risk of consumers not being alerted to a fire in their home. Call Kidde toll-free at 833-551-7739 or visit their website for more information. 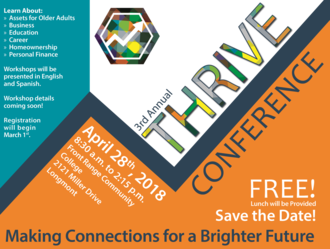 The THRIVE bilingual conference helps Boulder County residents with low income build their assets including homes, money skills, businesses, post-secondary education, and income for aging adults. Learn about resources available to you and leave the conference with clear next steps. Click here for more information on this valuable community event. One out of three adults has prediabetes and most don’t even know they have it. This diagnosis increases your risk of developing Type 2 diabetes, heart disease, and stroke. But with some simple lifestyle changes, you can cut this risk in half. We're getting ready to launch another session of our Diabetes Prevention Program and would love to have you join us. To find out if you qualify, or for more information, please email Melissa Pruitt or call 303-441-3599. Stay up to date on the latest articles, advocacy alerts, class information, staff updates, and area happenings. Like our page today!